The DSC Impassa SCW9057 is the next generation wireless security system, all-in-one smart security and home automation platform for residential and small commercial properties. The Impassa provides DiYer's with traditional built-in Plain Old Telephone Systems (POTS) security they already know and trust. In addition, the freedom to add smart home devices, that are compatible with Alula interactive alarm monitoring services. With Impassa our do-it-yourselfer's can start with a security-only package, and then scale up at anytime to a full security and home automation solution. DIYer's get the peace of mind of easily monitoring their home or business remotely, regardless of how tech-savvy they are. The SCW9057 Impassa phone/voip security system kit includes; an Impassa control panel with built-in phone line communicator using the Plain Old Telephone Systems (SCW9057), three door/window contacts (EV-DW4975), one motion detector (WS4904P) and one 4-button keyfob (WS4939). Plus, you can also add an Alula-compatible cellular LTE and/or dual-path (ethernet/cellular LTE) communicator to the send alarm over redundant and wireless communication paths. Everyday we hear about security breaches in the news, so rest assured knowing the DSC Impassa is designed for safe and secure wireless security system transmissions. DSC Impassa focuses on faster data-transmission speeds, and provides a longer lifecycle as cellular providers begin to phase out 2G GSM networks. The Impassa panel displays cellular signal strength to help determine the optimal mounting position with the home or business. For the DiYer's convenience, the real clock updates the time and date via the cellular communicator. The DSC Impassa can add a plethora of security sensors that are simple to maintain, as the wireless sensors batteries easy to replace, reducing onsite expensive service calls. The DSC Impassa is compatible with Alula for best-in-class home control and monitoring services, and it supports DiYers' favorite connected home devices, including Z-Wave Plus standard lights, thermostats, power sockets, door locks, and more. Users can choose the level of engagement and control what they desire, ranging from local notifications and keypad activation, to full remote control via cloud-based intelligence and mobile apps. All intelligent actions can be implemented according to user defined triggers and customized schedules or simply on-demand. Expansion of your DSC Impassa panel can be done at anytime, with compatible smart home automation devices that can be added. To meet DIYers' needs for easy installation, the DSC Impassa needs only one wire for AC power. This allows for DiYer's to drill fewer holes and pull fewer wires, reducing the difficulty of the installation. 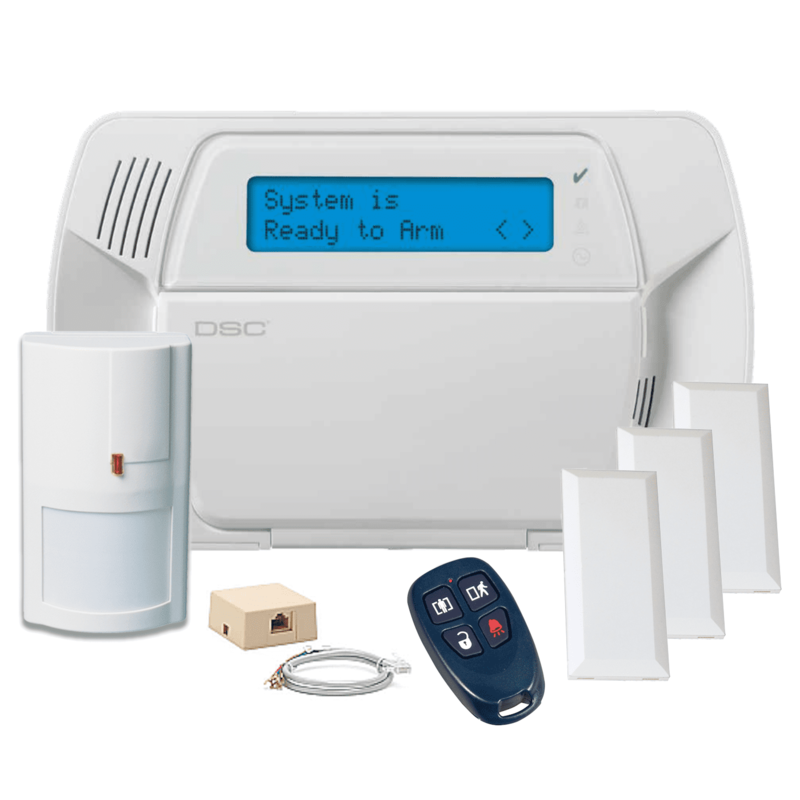 Using the Impassa 2-way wireless security system also reduces the time spent enrolling compatible wireless devices. DiYer's confirm Electronic Serial Numbers (ESN), zone numbers and zone type through a series of userfriendly screens. In addition, Impassa's template programming feature allows DiYer's to quickly program basic functions by just entering a 4-digit code. Codes exist for pre-defined zone definitions, reporting code formats, communication call directions and DLS setup. Finally, the DiYer enters the monitoring station telephone number (for POTS only) and account code, DLS access code, entry / exit delays and installer code.